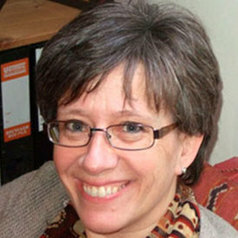 Allyson Fiddler is a Professor of German in the Department of European Languages and Cultures at Lancaster University. Her research focuses on contemporary writing and film, and she is a cooperation partner with Vienna University’s Elfriede Jelinek research platform. She has written on a wide range of contemporary Austrian writers, most extensively on the work of Nobel laureate Elfriede Jelinek. Allyson is an international partner of the Elfriede Jelinek Research Platform (University of Vienna). Recent publications include a special issue of Austrian Studies on Elfriede Jelinek and the themes of Sport, Cultural Understanding, and Translation to Page and Stage (2014, with Karen Jürs-Munby) and on The Austrian Noughties: Films, Texts, Debates (2011, with Florian Krobb). Among her latest journal articles are essays on protest in Austrian popular music and on Austrian film-makers and the extreme right.